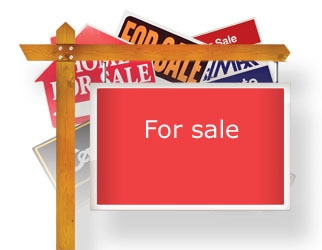 Are there are any bargains left in Canadian real estate? You bet there are. Moneysense reveals which cities offer the best value for real estate investors. With the amazing gains enjoyed by real estate investors in the past several years, it’s been easy for prospective home buyers to conclude that investing in real estate is easy—almost a sure thing. All you have to do to make money—or so it would seem—is to pick a property, lock in a low-rate mortgage and wait for the profits to start rolling in. However, the dark side to the run-up in real estate prices is that finding a place that’s not overpriced is getting tricky—very tricky. And with all the recent talk of a housing bubble, you really have to ask yourself if there’s any place left in Canada where homes are still a good buy. The short answer is yes. That’s because in some cities, home prices are still reasonable, and buoyant economies mean prices are destined to rise higher. What you need is a system that can consistently spot good places to buy real estate—in good or bad economic times. MoneySense’s “Best deals in real estate” is built on just that kind of system. For four years now, we have fine-tuned a unique, scientific approach that allows us to dig deep into the numbers and come up with the cities that hold this year’s treasures for real estate hunters. We’ve worked hard to perfect a rating system that’s logical and easy to use. First off, we collect detailed statistics and assign letter grades for 36 cities tracked by Canada Mortgage and Housing Corporation. (This year we’ve added Oshawa, Ont., to our list to bring us up from the 35 cities in past surveys). Our aim is to dig up places where real estate is still cheap, and income levels and job prospects are high and rising higher. These cities are most likely to see price appreciation in the years to come, and will also be in a good position to resist any downward movement in national housing prices. To give you an idea of what you can buy in each of these cities for around $370,000—the average home resale price in Canada—we’ve included photos and descriptions of recently listed homes. To arrive at our list of winners, we start by looking at homes that are priced reasonably (our “value” score), but are still increasing in price (our “momentum” score). In addition, we looked for markets that have strong economies (our “economy” score), so we could be reasonably sure that prices will continue going up. Once we’ve sifted through these numbers, we assign a letter grade to each city for value, momentum and economy. Top-of-the-class cities earn an A or B in each of those categories, and only a select group make it to our list of finalists. That was a tough order this year: only seven cities made the grade—all of them with a solid overall mark of A-. So exactly where is it a good time to buy now? You may be surprised to learn that it’s not the mighty urban centres like Vancouver, Calgary and Toronto. The brightest real estate treasures are hiding in small and mid-sized towns across Canada, where rock-bottom house prices combine with strong local economies to make buying real estate there an attractive bet. This year, Regina moved to the top of our list. While all this year’s winners earned the same A- overall, Regina edged its way to the top thanks to a slightly higher raw numerical score than its rivals. Close behind were Fredericton, Winnipeg, Moncton, N.B., St. John’s, Thunder Bay, Ont., and Edmonton. Many of those cities also made the previous year’s list. Last year’s top city, Moncton, was back at No. 4. Strong data from Regina, Fredericton and Winnipeg put them back on the list as well. In all, out of last year’s top five, only Saint John, N.B., fails to appear on our list this year. A mediocre C in momentum played a huge role in knocking its overall grade down to a B—its sliver-thin house price increases in 2011 demonstrate that this city’s real estate market is slowing down. Out of last year’s runners-up, only St. John’s made it on this year’s list. While the other runners-up from last year, Saskatoon, Gatineau, Que., Charlottetown and St. John’s, all earned a solid B+ again this year, several other cities zoomed past them thanks to better overall economic performances. Now let’s have a look at two newcomers to this year’s list: Thunder Bay and Edmonton. These two cities did better across the board this year over last, scoring almost all As or Bs. For both cities, the value scores are solid and the economy grades have also improved. In fact, Edmonton was one of the rare cities in our survey that got an A+ in the economy category—an amazing achievement. The numbers also show that in both cities, affordability has seldom been better. It takes just over two years of average household income to pay for a house in Thunder Bay and slightly more than three years in Edmonton. Below and in the pages to come, we’ll take you on an in-depth tour of the cities with the best deals in Canadian real estate. We’ll explain why these places are thriving, and tell you which neighbourhoods are attracting the most interest from home buyers in each city. Our results are great news for house hunters and real estate investors, as they show that you can still find decent housing bargains in every part of Canada. We caution you, however, to use our results with care. Make sure that a city’s situation hasn’t changed in some important way before you buy. Do your own research before putting down your hard-earned money. It’s not surprising then that Edmonton earned its highest points for its economy, with a stellar grade of A+ in that category. Only Calgary and Victoria were able to achieve the same grade for economy. Edmonton also earned a solid B+ in value, with the average home costing $336,000, about $75,000 less than a similar home in Calgary. According to Dirksen, that will buy you a 1,200-sq-ft split-level four-bedroom home with double garage in Ozerna, a family-oriented neighbourhood just north of Edmonton. The Conference Board of Canada projects more good economic times ahead, with Edmonton’s economy projected to grow by 3.4% this year, thanks to strength in the manufacturing and services sectors. Despite the apparent focus on oil and gas, Edmonton’s economy is one of the most diverse in Canada. It boasts major employers such as IBM, Telus and General Electric, as well as a growing biotech sector. Home to the Edmonton Oilers hockey team, the Edmonton Eskimos football team and FC Edmonton soccer, it’s a sports lover’s dream that’s bound to keep people moving to the city for years to come. If forestry and manufacturing are the first things that come to mind when you think of the city of Thunder Bay, Ont., then you have some catching up to do. The city took the No. 6 spot on our list mainly because of a super-strong A ranking in the value category. With average household incomes of $71,360 and an average home price of $176,000, the city represents excellent value in its housing market. In fact, the buoyancy of the economy is starting to show up in the city’s home prices. For instance, this year alone, average prices are up 6%, the most of any city on our list. “Condos, detached homes, townhouses—everything is selling within 30 days of listing,” says Ronne Ferris, broker of record with Century 21 Superior Realty Inc.
As well, with a super-low vacancy rate of 1.5% and rents for a two-bedroom apartment averaging a relatively high $790 a month, more and more residents are seeking to buy into the market. That’s not a surprise since many of the city’s largest employers are in the well-paying public sector. The City of Thunder Bay, the Thunder Bay Regional Health Sciences Centre, the Lakehead District School Board and the Government of Ontario each employ over 1,500 people. And while the mining and forestry sectors have continued to thrive, the city plays an active role in promoting new knowledge-based industries, primarily in the fields of molecular medicine and genomics. Some of the most popular areas for housing include new subdivisions inside the city where home buyers can get new 2,500-sq-ft houses for as little as $250,000. But some of the best deals are in updated older homes: A three-bedroom, two-storey 1,150-sq-ft brick home was recently listed for a very affordable $149,900. St. John’s, the oldest English-founded city in North America, grabbed the No. 5 spot on our list, up from No. 9 last year. Its biggest resource is the ocean, which provides St. John’s with its traditional fishing industry, and in recent years with an offshore oil sector attracting newcomers in search of work. Investment in mining, oil and gas, utilities and the industrial sectors remains strong, with billions poured into projects such as Muskrat Falls, Hebron, and Long Harbour. The ongoing evolution and renewal of St. John’s is also having an impact. Just a few of many current developments are a $167-million expansion planned for the St. John’s International Airport, a $50-million office tower for downtown St. John’s and a $32-million hotel on Water Street. Moncton, N.B., held down the fourth spot on our list—a respectable result, but down a few notches from last year’s No. 1 finish. This year both its value and momentum scores dropped, but with an overall A- score, it’s still an attractive place to buy real estate. Homes average $160,500 and household incomes a respectable $75,717. It would take just over two years of the annual household income for an average family in Moncton to buy a home—the second lowest on our list, just behind Windsor, Ont. And in Moncton, that life usually includes a decent job. While overall employment fell in 2011, with the service, trade and transportation sectors shedding jobs, the city’s unemployment rate remains at a respectable 7.5%. Jobs are still plentiful in this bilingual town, where the main industries include trucking, warehousing, health care, and education. Management jobs are also plentiful, with UPS, FedEx, Royal Bank and ExxonMobil all having offices here. The city offers a wide range of housing, including three-bedroom, two-storey semi-detached homes in all three of its main communities—Moncton proper, Dieppe (which is 95% francophone and has a population of 25,000) and Riverview. Residents boast one of the lowest commute times in all of Canada at under five minutes, even if you live in the suburbs. At the same time, just 20 minutes down the road on New Brunswick’s Northumberland coast, you’ll find the warmest beaches north of Virginia. Two national parks—Fundy National Park and Kouchibouguac National Park—are both within a one-hour drive of the city. Economic diversity also provides Winnipeg with a stable workforce and low unemployment rates. Last year, that rate averaged a rock-bottom 5.8%. And housing affordability remains high. It takes just a touch over three years of household income to buy a home here. The south side of the city has traditionally been the most popular, particularly with families. Neighbourhoods like River Park South, Linden Woods, Whyte Ridge, Island Lakes and Sage Creek all boast top schools and facilities—as well as solid resale values. Sales last year were strongest in the $150,000 to $250,000 price range, with the lion’s share of activity in the southwest and southeast areas of Winnipeg. Many older factory-style buildings have been renovated into loft-style condos along the waterfront and are gaining popularity. But downtown revitalization remains an ongoing process with a new baseball stadium, the Forks, and the MTS Centre providing a solid base for further development. As well, rental apartments are in demand. That’s because the vacancy rate in Winnipeg is a slim 1.2%, while average rents for a two-bedroom apartment are priced at $900 a month, making the return on such rental properties very appealing for real estate investors. Home prices have made healthy gains of 15.3% over the last four years, but what really stands out is the city’s low 6.4% unemployment rate, one of the 10 best among the 36 cities we surveyed. “A family’s dollar stretches further here,” says Jake Evans, a real estate agent with Exit Realty Advantage. “Sure, you can go out to Lloydminster, Alta., and make twice the income, but housing and everything else is a lot more expensive there, too. We have good jobs and affordable house prices. That’s what young families want.” In fact, suburban homes in Fredericton are flourishing as younger families seek out more spacious homes with quality upgrades that are still reasonably close to the downtown core. The average price for a brand-new 2,000-sq-ft home with two-car garage and nice backyard? An affordable $320,000. Geographically, Fredericton is bisected by the Saint John River. This has created two distinctive regions of the city, namely the Northside and the Southside. The Southside contains the downtown core, which includes provincial government departments, historic buildings and various businesses, banks and law firms. East of the downtown core are newer, more affluent neighbourhoods such as Poet’s Hill, which is only a five-minute commute into town and boasts larger, more energy-efficient homes that sit on one-acre lots. Prices range from $180,000 to $500,000. West Hills on the Northside is a 450-acre subdivision of upscale homes with a golf course and new strip mall nearby. Over the past four years, Regina’s home prices have increased by an impressive 24%, making it one of the fastest growing housing markets in Canada. This year, Saskatchewan’s capital nabbed the coveted first-place spot on our list thanks to top marks in both value and momentum—an unmatched A in both categories. This helped it solidify the No. 1 spot—up from No. 2 last year. While the city received only a B- in the economy category, sectors like oil, potash, uranium, gold, diamonds, forestry and farming are booming and Regina continues to have the lowest unemployment rate of all the 36 cities we ranked, coming in at a rock-bottom 4.7%. Despite recent price gains, the average home is still a reasonable $285,000. But more and more higher-priced homes are also being built in some parts of the city. The Albert Park neighbourhood is a much-desired residential area in the southwestern part of Regina. There is a roughly equal balance between young families and seniors, and average prices are about $390,000 for a detached home and $250,000 for a two-bedroom condo. Visit our “Best deals in real estate” gallery to see what the average house price buys you in each of our top ranked cities.